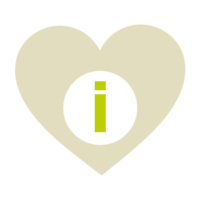 While we recommend visiting St Peter & St James Hospice from 11.30am onwards and between meals to avoid busy ward times, we welcome visitors at any time that suits. When you arrive, just pop into our reception to sign in and clean your hands using the hand gel. Cats and dogs can come in for cuddles too – please just speak to one of our nurses first. 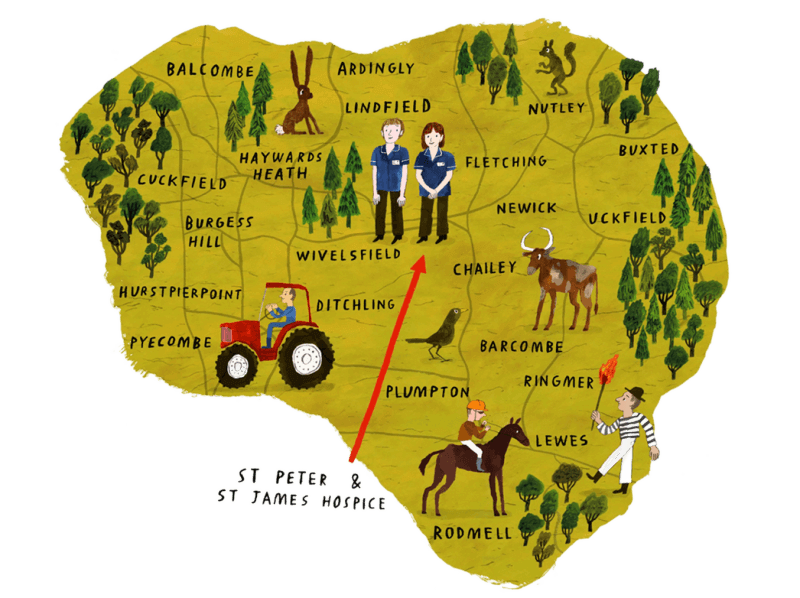 We are on the border of Wivelsfield Green and North Chailey in East Sussex, located off of North Common Road. The postcode for your Sat Nav is BN8 4ED. For detailed location information or to plan your visit click the button below. Visitor parking at St Peter & St James is clearly signposted and available at the front of the hospice. There are three disabled parking bays opposite the reception entrance. Please keep the yellow bays free for ambulances. 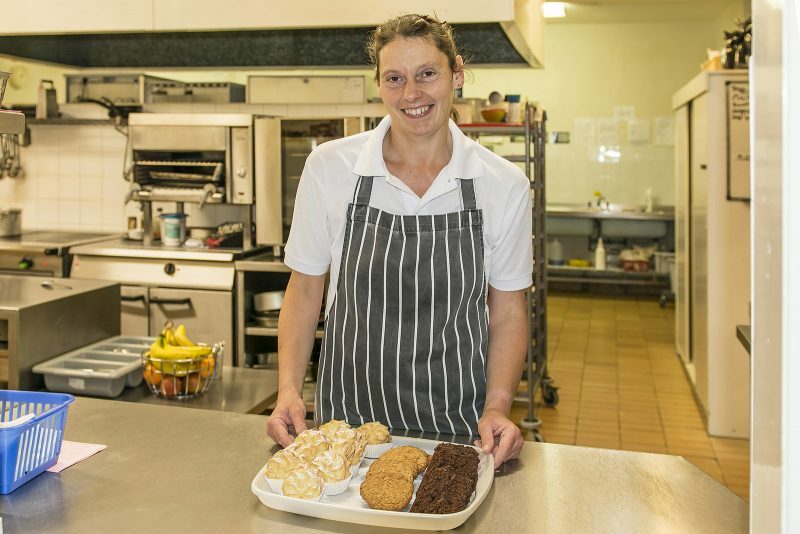 If you need a snack, want to enjoy a meal with your loved ones whilst here, or are simply in need of a hearty cuppa, you can use our kitchenette or order food from our hospice cooks. The nearby Wivelsfield Green Village Store and Post Office also offers a wide range of snacks and sandwiches, and sells flowers. We operate a no smoking policy. If you wish to smoke, please do so outside in the designated areas and use the ashtrays provided. Crisps and sweet treats, toiletries and gifts are available to buy in our hospice reception. If there is nobody at reception, please leave the correct money or a cheque in the wooden box on the reception desk. Unfortunately our hospice is not on a bus route. We are however close to Wivelsfield, Burgess Hill and Haywards Heath train stations and you will be able to get a taxi from each to the hospice.